Located in Harrisburg, Pennsylvania this custom kitchen captures the essence of casual elegance. Different elements and textures were used to create this style. 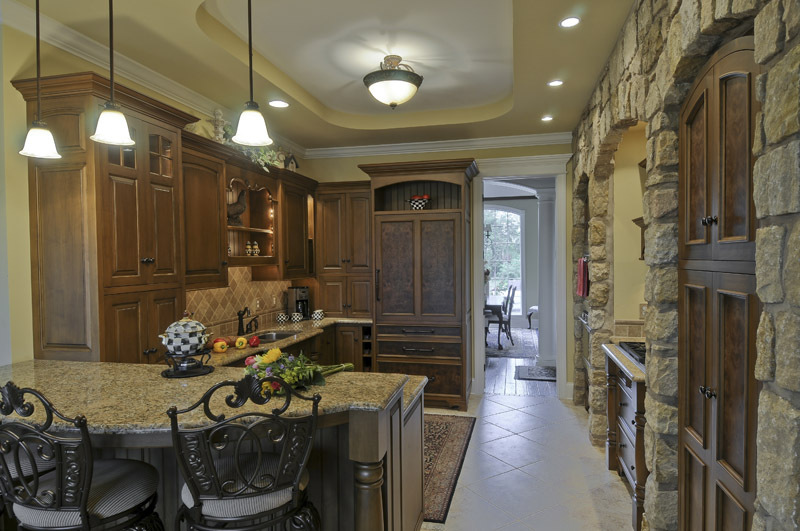 The cabinetry was actually built into 3 stone arches. 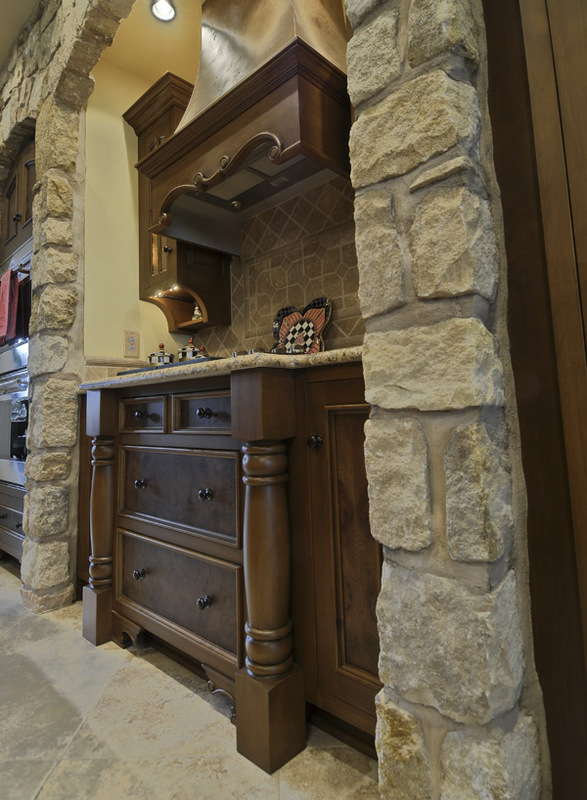 The arches house a double oven tall cabinet, a cooktop and hood and a pantry tall cabinet. 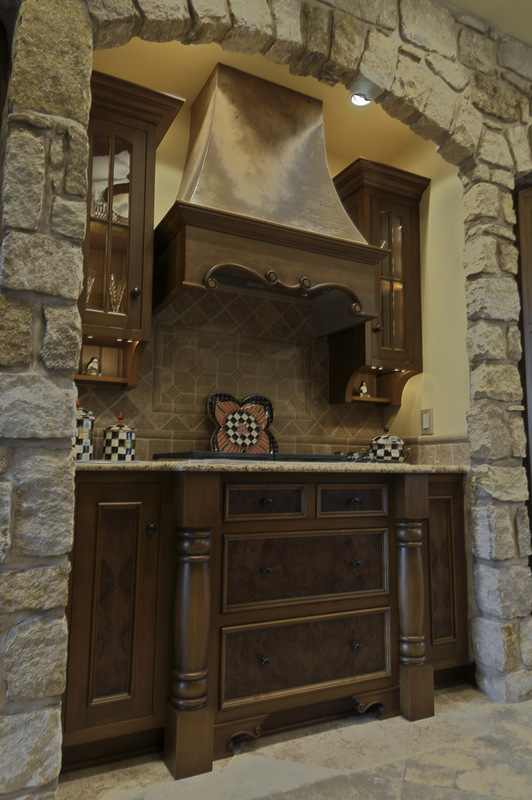 Accented cabinetry includes applied molding doors and drawers with inlay burl panels. Also within this kitchen are convenience items such as; racks on the doors inside the pantry cabinet, roll-out shelves and a blind corner with swing-outs for ease of access.